Every day we ask ourselves, how can we make a difference? 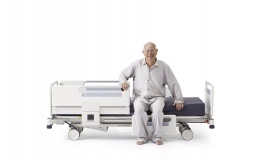 In fulfilling our mission "to design our safest bed", the M10 Bed features new innovations to prevent patient falls, pressure injuries and cross infection. Our award winning M10 Bed featured in the 'Australia by Design:Innovations' TV series.